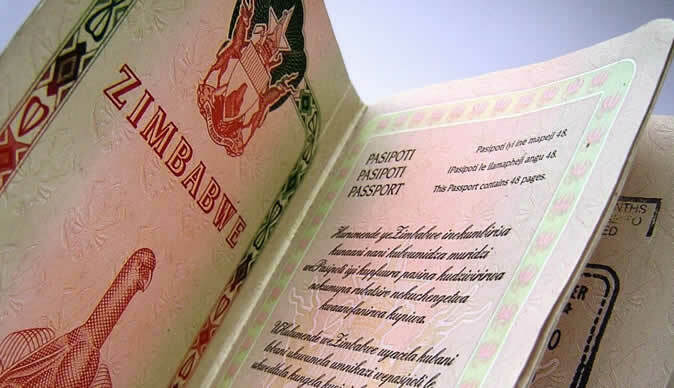 Government is finalising modalities to decentralise issuance of passports and civil registration documents to districts in order to decongest provincial offices, it has been learnt. Policymakers are currently simplifying business processes as the country moves towards achieving upper middle-income status by 2030. Home Affairs and Cultural Heritage Minister Ambassador Cain Mathema told The Sunday Mail recently that Government's ultimate goal is to ensure that people get key documents at district level. "We are going to decentralise issuance of passport, birth certificate and national identity documents to the lowest district level," he said. "Issuance of passports will be increased because it is every Zimbabwean's constitutional right to obtain the travel document. "The whole administration of systems in Home Affairs ministry will be computerised." In a separate interview, Registrar-General Mr Clemence Masango said the mulled plans are long overdue. "Passports are only being issued at provincial offices. However, by year-end, we expect to have opened passport issuance offices at Chitungwiza and Murehwa district offices," he said. It is believed that Treasury has suspended funding new public-sector projects pending the implementation of those that have already been approved. Construction of the Murehwa passport office, Mr Masango said, is already underway. "But we expect to be able to open the Chitungwiza office soon. We have approached the local authority so they can assist with accommodation (for staff)," he said. Overall, Government plans to decentralise the issuance of the documents to all the country's 72 districts. The Registrar-General's Office, which currently has 206 sub-offices offices countrywide, is also moving towards computerising all its operations. "People will pay the fee online, apply online and then download the form to present it physically to passport offices for capturing of biometrics. This also minimises chances of corruption. "We get reports of touts who assist people to jump the queue or ask for payment to facilitate quick processing of documents. "If application is done online, we reduce such incidences." He said plans were on course to introduce an electronic queue management system and install CCTV cameras to help monitor performance and movement of staff at the registry offices.